Time to Play: 5 min. 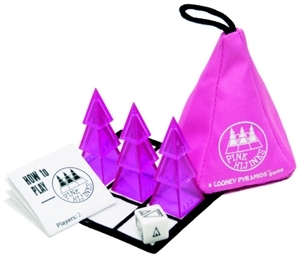 Pink Hijinks is an elegantly simple, yet surprisingly deep, strategy game for two players. The special die determines which piece(s) you get to move each turn. Can you be the first to fill your row with three of the same-sized pyramids?